Maybe you consider yourself an expert prepper already. Maybe you're just a beginner. No matter how long you've been prepping, we all make mistakes. It's natural. It's human. But there are ways you can learn from others and avoid the same mistakes that we all make. 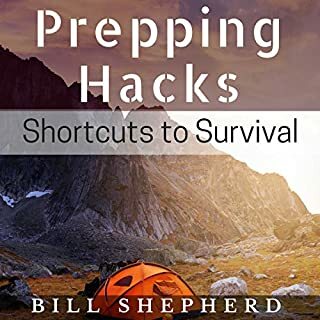 With this book, you'll learn some of the top prepping hacks - and how to find shortcuts to survival. If you could sum up Prepping Hacks in three words, what would they be? Joshua Bennington gives a nice clear read to this prepping book. This book will be read over and over again. So I can re-fresh my memory about what I need . This was a magnificent starter book for us, with many ideas that we can implement. Kilix awakens to a world that he doesn't recognize. The A.I. have taken over much of the frontier and seek total control. When Kilix learns of the somber news, he decides to leave with Loren's grandfather, Dan, to get supplies. Hitting a snag in their plans launches them on a journey of no turning back. The world will never be the same. 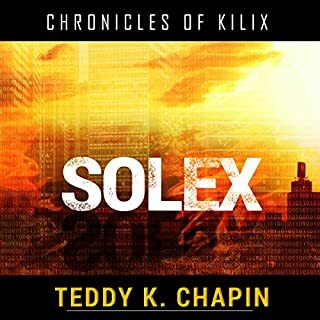 Would you consider the audio edition of Solex to be better than the print version? I use the audio books so I can be doing something with my hands at the same time I am entertained by a book. I have given up reading books because the audio books are to much easier for me. There fore I can not compare the printed version with this audio version. I did like this audio book a great deal. What does Joshua Bennington bring to the story that you wouldn’t experience if you just read the book? Joshua Bennington brings a voice to the characters. In this series I found the voice of Peter to be most captivating and charming of Mr. Benningtons voices. This three book series would made a wonderful movie. It reminds me of the Matrix where the humans also lost to the AI. Dexter O'Kane is a family man who becomes an assassin after the death of his wife and son, a failing business, and witnessing a murder that unravels his simple life. 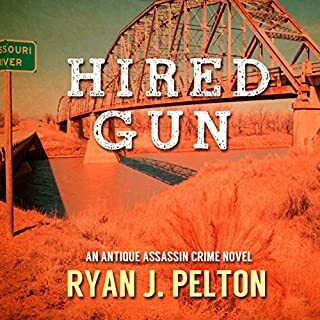 Recruiting best friend and business partner John Wood to be his partner in crime, Dexter is on the hunt for a serial killer who's wreaking havoc in the small blue collar town of LeClaire, Missouri. The story line was around a couple of not too bright antique dealers who think they can capture a serial killer. The narrator gave the book a big shot in the arm. Would you be willing to try another book from Ryan Bennett? Why or why not? The story line was around what I have seen on the Antique TV show but with a lot of violence. It has the potential for many books, but Ryan Bennett will need to improve the stories. Jason and Vanessa are back with a new case, and this one pushes them to the limit. Clues are being left at the scene of the homicides but they can't figure out the meaning. Frustration mounts, as does the number of victims, but the detectives won't give up. Will they figure it out too late, or are they smarter than the killer gives them credit for. Incredibly good serial murder mystery! What made the experience of listening to Cruel Deception the most enjoyable? The narrator gave the novel a mystery tone. 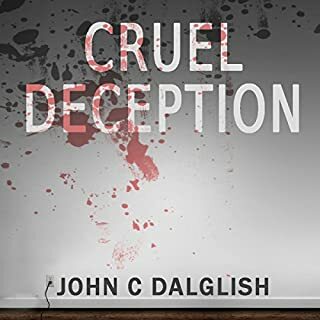 Terrific audio book, you need to add it to your collection of detective mystery books. Jason and Vanessa have returned with a case that will test their faith and their partnership.The homeless of San Antonio are dying, but apparently from natural causes. Captain Patton is ordered to make sure these cases are not homicide, so he gets with Lieutenant Banks, and requests her best detectives. The book was great if you like old time mystery detective thriller like you heard on the radio and I did. The audio book was excellent because of the story line and the narrator. 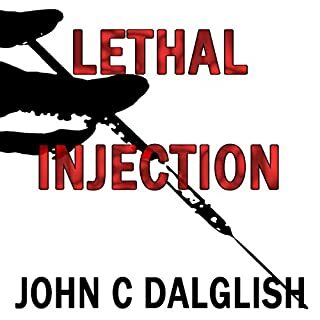 Mr. Dalglish writes a good mystery novel and the Mr. Bennington brought it to life. A good combination. I recommend the book. It is not too long and will keep you not wanting to turn it off. .